Baby Dove Calming Nights Lotion is specially formulated with a warm milk and chamomile calming scent to help baby relax before bedtime. A nightly routine of a warm bath followed by a gentle massage can help facilitate more restful sleep. Use after Baby Dove Calming Nights Tip to Toe Wash to nourish skin as baby sleeps. 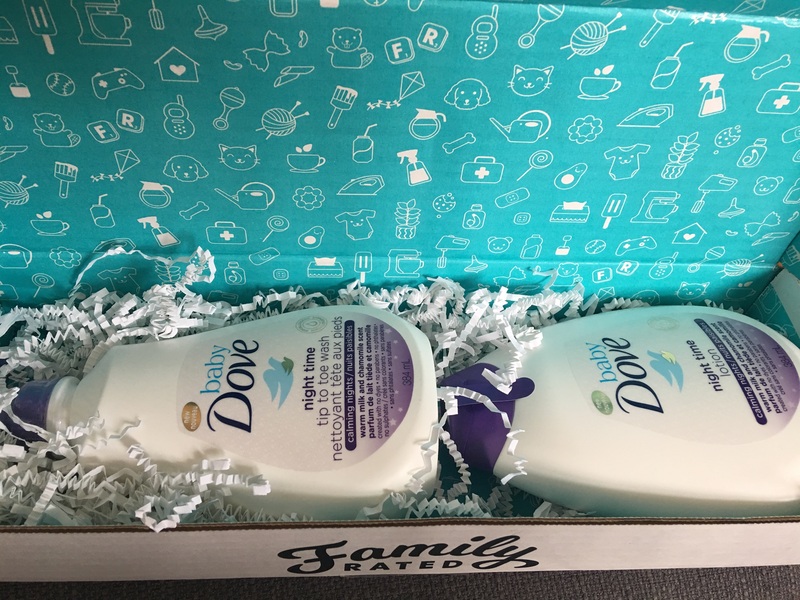 La Lotion Baby Dove Nuits paisibles est spécialement formulée avec un parfum apaisant de lait tiède et camomille pour aider bébé à relaxer avant le dodo. Le rituel d’un bain tiède suivi d’un doux massage le soir peut aider à favoriser un sommeil plus apaisant. Utilisez-la après le Nettoyant tête aux pieds Baby Dove Nuits paisibles pour nourrir la peau durant le dodo de bébé. 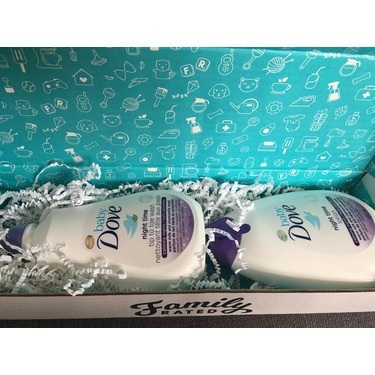 I received this fabulous Baby Dove Night Time Set and absolutely love it! The wash itself was lovely, it had a wonderful lather and left my daughter smelling pleasantly and subtly of chamomile. The lotion itself is gorgeous, silky smooth and leaving behind no oily residue. Her skin was soft, lightly scented and, after her routine bed time massage, she was completely ready for bed time. We already used Baby’s Dove on her exclusively but the Night Time set will definitely become a part of our regular routine moving forward! I received this product free to try, it has a mild and subtle fragrance just like its pairing the night time wash. It was easy on my sons sensitive skin. I’m still unsure if I would repurchase though just based on its texture. I found it to be a little on the runny side so you really only need a small amount.